Adil Minoo Godiwalla, P.E., M.ASCE, an airport design expert, who for over 35 years was the assistant director at the City of Houston, Texas, passed away on December 16 at the age of 71. On his retirement, Houston Mayor Annise Parker issued a city proclamation making October 6, 2012, Adil Minoo Godiwalla Day. Born March 29, 1941, in Mumbai, India, Godiwalla grew up in Jamshedpur, where his father worked for the Tata Group. After attending Bishop Cotton School in Bangalore (an affiliate of Cambridge University) and St. Joseph’s College in Darjeeling, Godiwalla went on to earn his bachelor’s degree from the Banaras Hindu University, in Varanasi, India. Later, Godiwalla migrated to the U.S. and in 1965 he earned his master’s degree in civil engineering at the University of Missouri at Rolla. 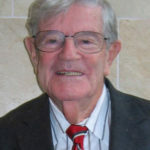 Upon graduation, he accepted a job with Pioneer Engineering, and later he moved to Pittsburgh and was employed by the Westinghouse-Tenneco Corporation, where he designed offshore nuclear power plants. After working for a brief period for Brown & Root (today KBR, Inc.), Godiwalla went to work for the City of Houston, where he was involved in street and bridge design, and was instrumental in the designing of many of Houston’s major intersections, roads, bridges, and sanitary storm sewers. 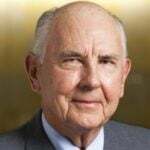 The pinnacle of his career was in the design of terminals D and E at the George Bush Intercontinental Airport and the revamping of Hobby Airport, both in Houston. His expertise was globally recognized as well, assisting in the design in airports in Ecuador and Costa Rica. After more than 35 years of service working for the City of Houston, Godiwalla retired in October 2012 and went to work as a civil engineering consultant for the Houston-based Gunda Corporation, LLC.